There’s no mistaking that bathrooms are an important part of the home. 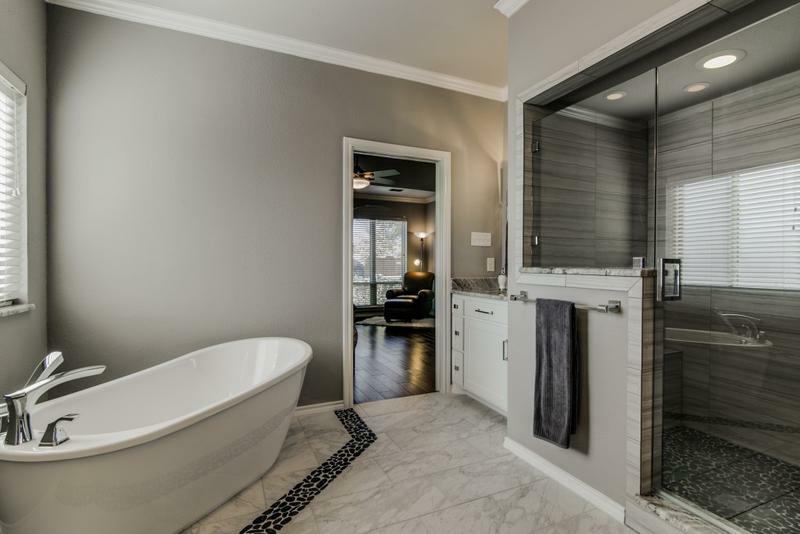 Home buyers like to see more bathrooms than they used to, and bathroom design is trending toward integrating these once-overlooked rooms into a cohesive design plan with the rest of the home. Whether you’re building a new home or renovating an existing bathroom, here are some top trends to follow in 2016. Bathrooms are no longer hidden away. Master suites often feature open floor plans with bathrooms that roll right into the bedroom. Not only are bathrooms coming out of the traditional water closet, they are also doing it with style. Look for elegant standalone tubs, dramatic walk-in showers, and fixtures that echo the style found in the rest of your home. In 2016, look for modern luxuries to take center stage in new and renovated bathrooms. European cabinetry is a popular choice for a sleek modern look, and designers are using impressive fixtures such as standalone bathtubs to draw the eye and make a statement. Grey cabinetry is also becoming popular, perhaps as a natural evolution from the minimalist white and black themes of recent years. Other modern touches to complete your bathroom include little luxuries such as heated floors, fireplaces in the bathroom, and even smart fixtures that keep the temperature of your shower consistent. Click here to see more of the modern bathroom remodel above. In addition to a sense of modern luxury, bathroom design is trending toward an overall sense of peacefulness. To create the kind of Zen oasis where you can go to get away from your troubles, many bathrooms are including natural touches such as wooden surfaces, stone, succulents, and other green plants. Technology is an important part of most modern housing design, so it was only a matter of time before technology reached the bathroom, too. Complete the sense that your bathroom is your own personal paradise by using technology to perfect your space. For example, water resistant speakers can connect to your phone wirelessly and play music while you shower or bathe. Technology can also help to lighten your cleaning load, such as a flushing system that works to keep your toilet bowl cleaner. Bathroom design is becoming more important as consumers put increasingly more emphasis on what they want out of a bathroom. No longer just a little room to have out of necessity, bathrooms are now often designed to be a place where you can go to relax and enjoy yourself. As these rooms become an increasingly integral part of the home, expect to see even more practical, luxurious, and aesthetic bathroom design trends on the rise. From regular remodels to ADA compliant and Universal Design, we have the expertise you need to do the job right. Click here to request an estimate.